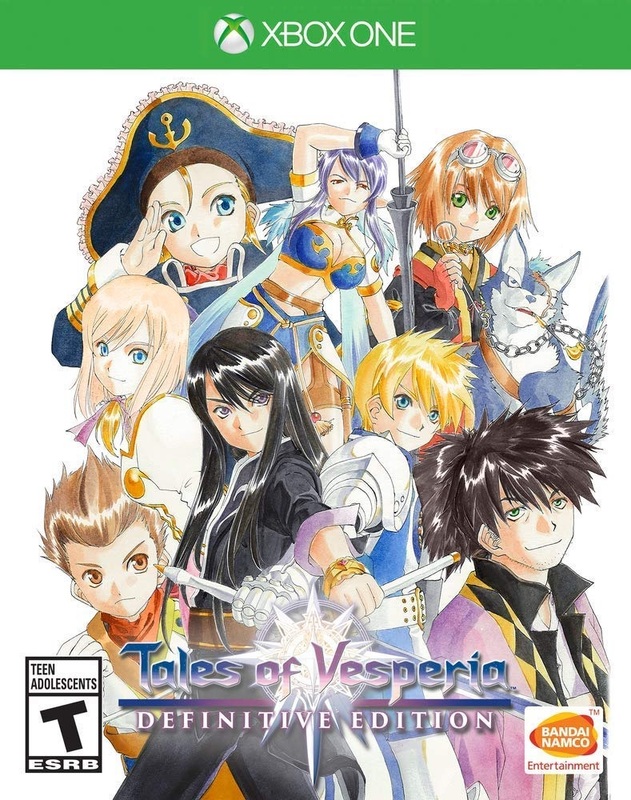 A little over a decade ago Bandai Namco released, for many people, one of the best entries of the Tales series in many years and although they have kept the series going with six different games since it was released, Tales of Vesperia has often been held as a high standard for the series as a whole with only entries like the original Symphonia reaching that point. In what ended up being a bit disappointing for many however was that the game was released with additional content in Japan and this version was never released in the West, turning it into “not that one” in discussions about the series. Now we finally have this version of the game and more with Tales of Vesperia: Definitive Edition, but has nostalgia clouded our memories or is this even more of a great game that fans previously enjoyed? Set in a world where the majority of technology relies upon the energy from mystical blastia that were created by an ancient race, players follow the journey of Yuri Lowell, an ex-knight trainee turned delinquent from the lower quarter of the capital city. In pursuit of a thief that stole the water blastia that provided the lower quarter with drinkable fresh water, Yuri finds himself on the wrong side of the law once again but this time he is in for far more than he bargained for as his journey finds him being joined by a number of friends and allies who each have their own goals. 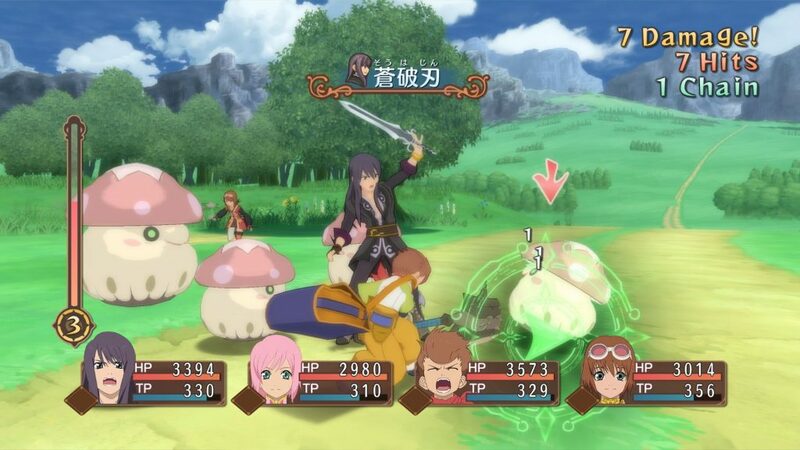 As is standard for a Tales game, it isn’t long before this seemingly simple quest to catch a thief quickly turns into something far more dire as we learn more about the danger facing the world and uncovering sinister plots, though Vesperia is more upfront with how dangerous and villainous certain elements of the world are than other games in the series, allowing players to get into the story a bit quicker than the usual slow burning start the franchise is known for. Another element that makes Tales of Vesperia‘s story stand out is just how amazing the entire cast of characters happens to be. While a few may start out being fairly cookie-cutter in nature before evolving beyond that into their own characters, some start out feeling immediately unique and the way that these characters interact with one another is yet another element that helps boost the journey in this game. There have been plenty of RPGs that feature main characters that shy away from doing things by the book but Yuri is a real highlight that stands out in this regard. He is more than willing to help out anyone in need regardless of whether or not it may be lawful to do so and treats each member of his party with a different demeanor. 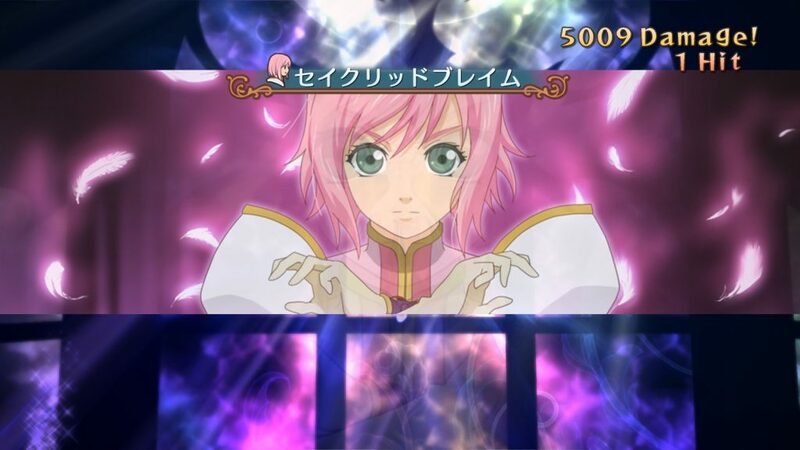 This means he is more than willing to tease the naive Estelle or encourage Karol, albeit with some teasing sarcasm at times, while also trying to keep a good relationship with Rita and Judith and being annoyed at Raven, with his feelings towards each of these characters growing closer as the story progresses. Yuri isn’t the only stand out here though as almost every member of the core cast goes through growth throughout the story and especially in the skit scenes that players can find throughout the game. Interestingly enough, with Tales of Vesperia: Definitive Edition adding a brand new character in the form of Patty and then offering Flynn as a full time party member eventually, it doesn’t feel like they are tacked on in any way. Patty is introduced far earlier in the story than one may expect for an added in character although she doesn’t officially join until some time past that point but her pop-in appearances immediately endear her to the cast while Flynn’s longer presence serves as a great opposite to Yuri at times. These additions to the group as well as the original members create a highly entertaining story that will please newcomers and even offer something new for longtime fans of the series who’ve played the original before. In standard fashion for the series players will be able to explore towns and interact with NPCs, purchase and synthesize various items and equipment, and of course rest at inns while the rest of the time they will either be out in the overworld or inside of a dungeon area where enemies can be seen in the overworld. After getting a bit into the game players do receive an item that allows for some enemies to be stunned before combat, allowing for an advantage, but along those same lines enemies can trigger surprise attacks that mix up your party set-up making for some interesting fights if you don’t keep your party properly equipped. Combat should feel more than familiar to anyone who has played games in the series before as it takes place in real time with players having control of one character while the others operate on AI that can be adjusted to fit nearly any situation. It is rather easy to learn what type of Artes (special moves) can be easily strung into combos with the standard attacks and, as mentioned before, your equipment does play a factor in this. This is primarily due to each character being able to learn passive skills from equipment that can be learned and equipped to provide various bonuses even while not equipping that item. To make things even more interesting is the fact that, even though Yuri and Flynn are a bit similar, nearly every character handles and plays in a different way allowing for some rather unique experiences depending on who you like to take the lead on in a battle. This is especially true in the case of Patty who features a wide array of different abilities that vary depending on her form. Since this is an enhanced version of the original release, players can also expect to see a number of new dungeons here and there as well as a few new side quests, though these do remain a problem once again. Similar to the original release, it is incredibly difficult to keep certain side-quests going properly or even trigger them at all since they usually involve returning to an area after completion or talking to a completely innocuous character meaning you will need to be very thorough when exploring a town if you hope to see everything that the game has to offer, including various skits that can only be obtained this way. 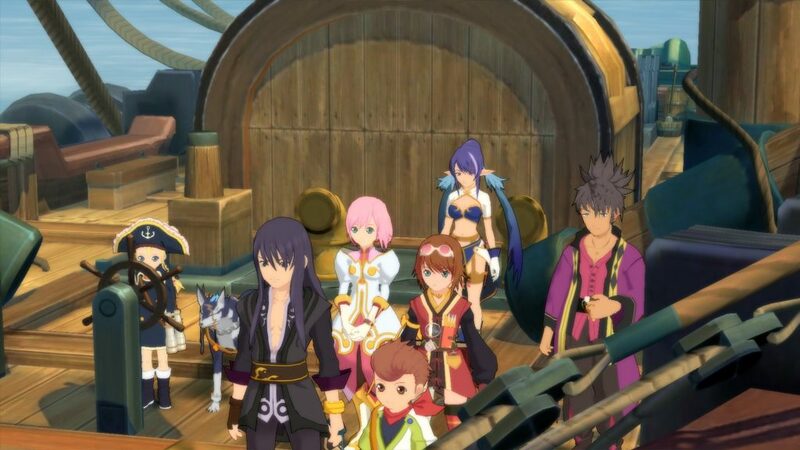 Thanks to the extremely colorful art style used by the developers in the original game, Tales of Vesperia: Definitive Edition holds up incredibly well with age and the extra bit of polishing that was applied to make sure the game looked as good as possible on the current batch of consoles. The character designs are lovely and feature a wide array of alternate costumes and there are numerous dungeon designs that keep things feeling fresh when exploring the world. One thing that will unfortunately surprise some returning players is the fact that the developers could not retain some of the English voice actors from the original release. This means that while old audio recordings are available using the original voice actors and actresses, there are scenes and skill takes where that dialogue is now voiced by someone that may sound rather similar but is still different. This isn’t too noticeable most of the time but there are a moments where scenes were extended or new skills are used where the dialogue will flip-flop voices. If you don’t wish to deal with this however the game does offer the original Japanese voice options at any opportunity. 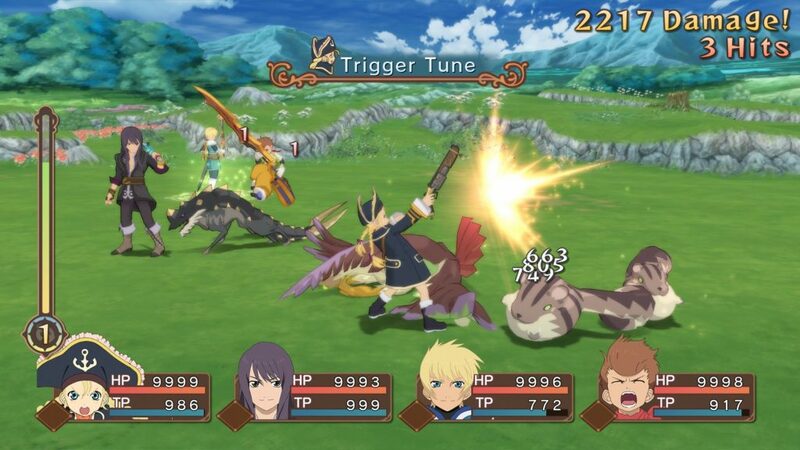 Tales of Vesperia: Definitive Edition is the game that many fans of the series were hoping would eventually make its way overseas and now that it has it does not disappoint. Although the voice acting for the English track is a bit shaky at times due to the different voice actors being used, the difference can be ignored in favor of the Japanese track so one choose. With plenty of new content for returning fans of the game and a lengthy storyline with some of the best characters in the franchise even newcomers will find that Tales of Vesperia: Definitive Edition is one of the best Tales games. 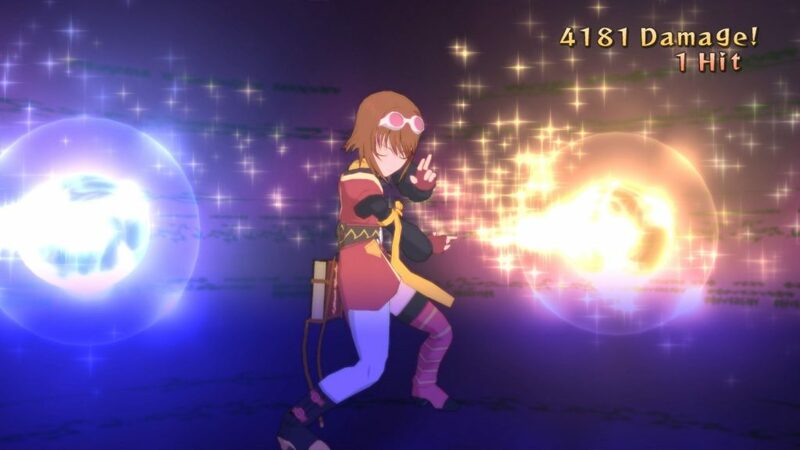 Tales of Vesperia: Definitive Edition may have audio issues and hide some of its side-content behind odd obstacles but it still shines as one of the best games in the franchise and one that fans of JRPGs should not pass up.